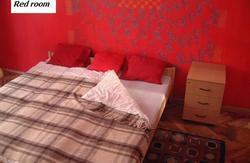 Acceptable accomodation in the city centre of Budapest at the bank of the Danube! You can enjoy the beautiful view of Budapest and of the Danube on the higher floors! 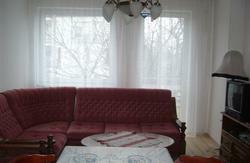 Perkele Hostel is found in the center of Budapest at the bank of the Danube. By means of its excellent mass transportation you can reach the sights of the city quickly. (on foot you are 2 minutes from the bus and tram stop and 5 minutes from the underground stop). Just only some minutes of walking and you are among the restaurants and cafs of Rday Street or you can shop in the well-known Vci street. You are only one corner away from the historic market hall or the beautiful Liberty Bridge. The deservedly praised riverside promenade in Budapest also starts here; from here you can take pleasure in the sight of the picturesque beauty of Buda. Our accommodation provides you a genuine milieu of a university hostel with 2-, 3-, or 5-bed rooms and with toilets, baths and kitchens on the corridor. It provides you ideal conditions whether you spend only 1-2 days here or you are our guest in the whole summer. The buffet in the building satisfies all needs. Thanks to its position it is a great possibility whether you come to take part in Sziget Festival or to see the Forma 1! Only some minutes of walking away from the routes given by the organizers of Sziget the hostel provides preferential accommodation for those who came for the Sziget Festival. You can have a comfortable rest after the party in the night and you will be fit for the next night! If you want enjoy not only the Forma 1 but also the possibilities of the city we are an ideal accommodation for you! The Hungaroring is easily reachable from here just as the main sights of Budapest and you may get an inside view of the vivid night-life in the city. Come to Budapest, stay at our hostel and enjoy the active teeming life of the city all the summer! 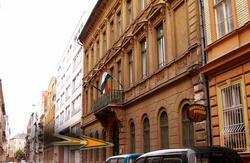 Address: 1092 Budapest, Kinizsi utca 2-6.